By 1864 Napoleon III and his urban planner, Georges-Eugene Haussmann, are well into development of Paris as we know it today. By the time they are done the city nearly doubles in size. 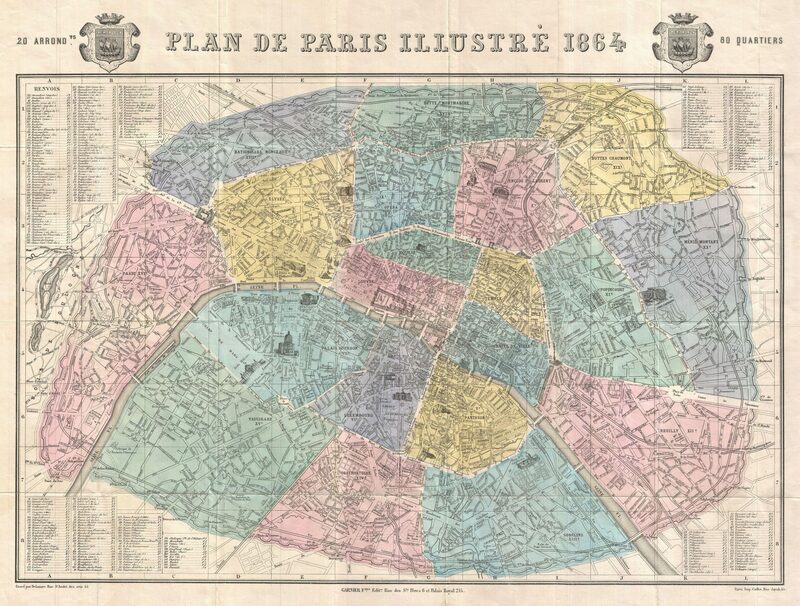 Paris grows from from twelve to twenty arrondissements.